Fight Blindness, or make a donation to a cause of your choice. 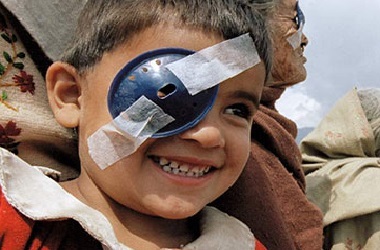 We strive to accept nearly any crypto-asset as a donation to help fund cataract surgeries. The past few years have been a wild ride for cryptocurrency investors, and the IRS is taking notice. Find out more about your tax liabilities, and how donating your appreciated crypto tokens to charity can change someone's life forever, while having tax advantages over donating fiat.